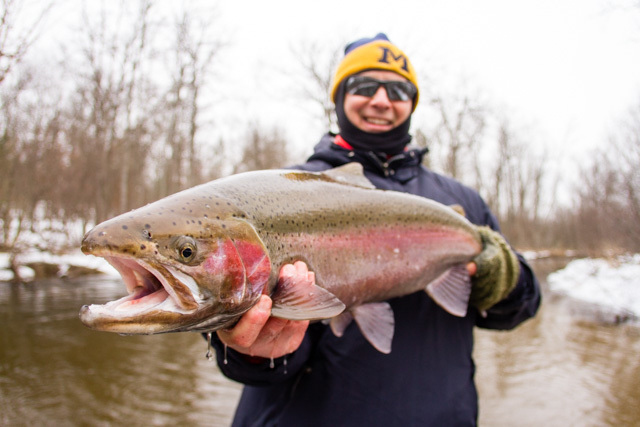 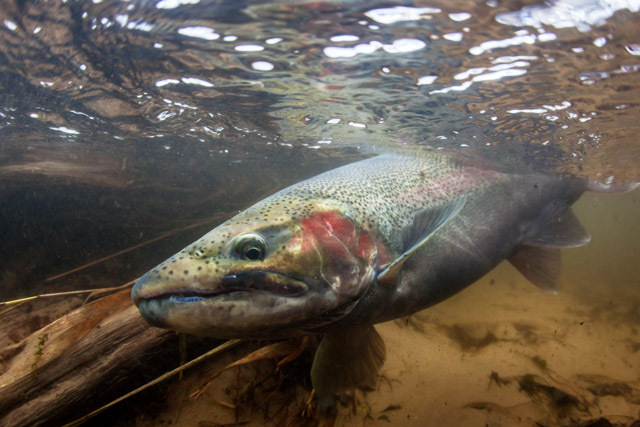 Steelhead fishing in Northern Michigan, with a main focus on the Manistee River system . 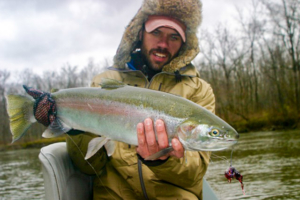 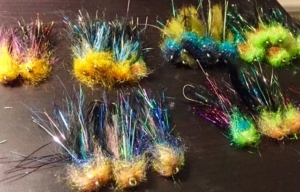 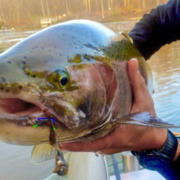 Tips and techniques to help you become a better steelhead angler. 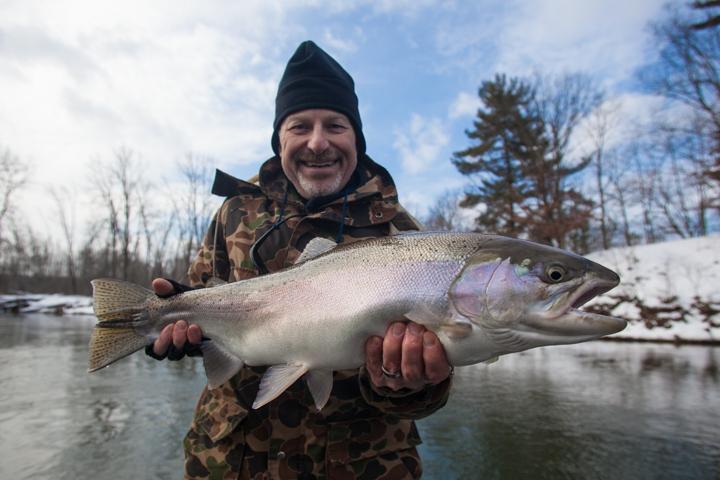 Learn from experienced guides Chuck Hawkins, Jon Ray, and Ed McCoy as they share of their guide secrets. 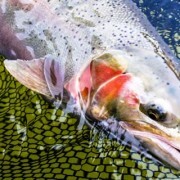 Orvis has recently produced an upgraded version of their Underwader Pants and I must say it is a significant upgrade! 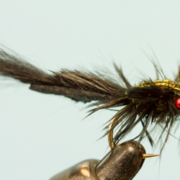 Boasting a dark charcoal color and chartreuse stitching these pants offer a comfortable contoured fit. 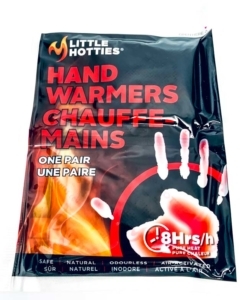 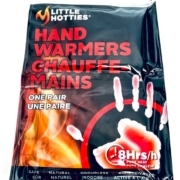 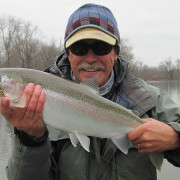 The pants are very warm and will keep your pant legs from crawling up your legs as they easily slip into your waders. I also find the Underwader Pant great for lounging after a long day on the water or afield yet stylish enough to run my errands or grab a bite to eat on the way home. 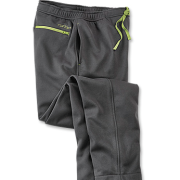 Other features include two deep front pockets, zippered rear pocket, elastic waistband, and a drawstring to fine-tune your fit. 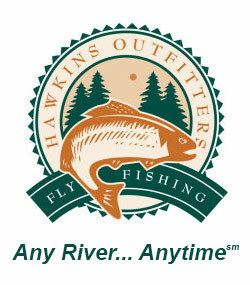 Hands down my favorite under wader pant on the rack, TWO THUMBS UP! 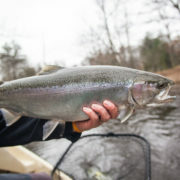 Couple New Manistee River Fishing reports have been posted the past couple days. 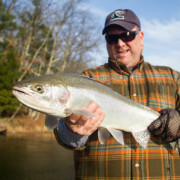 Jon Ray and Ed McCoy have been out chasing winter steelhead. 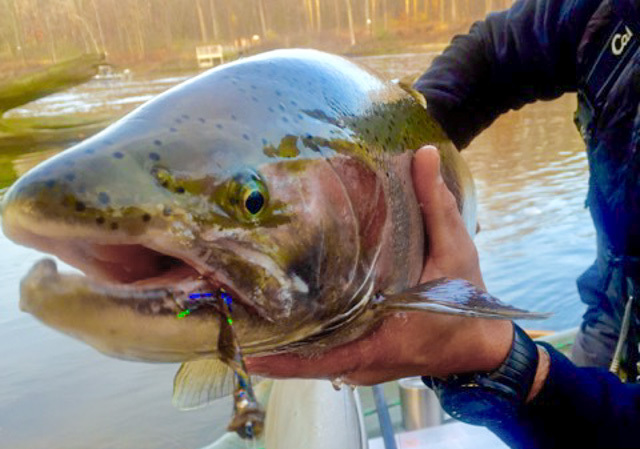 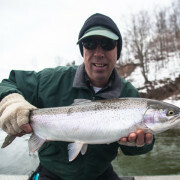 The Manistee River is fishing well, with a good mixture of chrome hens and winter double stripped bucks. New February Newsletter – new fly pattern for matching the salmon parr hatch this is about to occur. 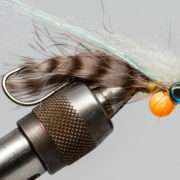 This little guy matches the hatch, you don’t need to always throw big to catch nice trout.